November 16, 2016 by Brad Leave a Comment Richmond Savers has partnered with CardRatings for our coverage of credit card products. Richmond Savers and CardRatings may receive a commission from card issuers. If you’re planning a trip to Disney World, one of the biggest costs you’ll encounter is the price of flights — unless, of course, you are driving. But if you have a large family, the price of airfare will add up quickly. Typically, tickets will cost three to four hundred dollars per person, which can easily add up to more than $1,000 for a family. And seriously, if you also have to pay for hotels, park tickets, food, and other transportation, the price of flights just isn’t sustainable. 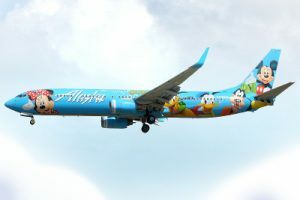 But here’s the good news, there are some tactics you can use to get Disney flights incredibly cheap (almost free), and I’m going to show you how. This is the key piece of advice. Redeeming points for flights can present a seriously great value that makes your vacation much more affordable. If you aren’t familiar with this travel rewards concept, that’s OK. I’ll give you a quick overview of the easiest way to go about it. You can acquire airline points by signing up for a relevant credit card, and meeting the minimum spending requirement (usually something along the lines of “spend $3,000 in four months”). Do that, and you just might have enough points for a free family trip, plus a great credit card with additional benefits. Now, let’s take a closer look at the airlines and credit cards that add the most value here. In many cases, you’ll want to fly Southwest if at all possible. Orlando (MCO) is a big Southwest hub (even if they don’t call it “hub” specifically), and Southwest by far carries more passengers to and from Orlando than any other airline. On top of that, Southwest just happens to be one of the best budget airlines around. Not only is it cheap, but it’s also easy to accumulate Southwest points for nearly free travel (you’ll only pay minor taxes and fees). First, you need Southwest points. My favorite (and arguably the easiest) way to get them is with a Chase card like the Chase Sapphire Preferred. See the current offer on the Chase Sapphire Preferred here. But for a simple example in this post we will assume you are working with 50,000 Ultimate Rewards.These can then be converted to Southwest points at a 1:1 rate. Obviously, the price of the flights is going to vary by outbound airport, but there are some insanely cheap flights available, and chances are you’ll be able to find one. To give you an idea, I looked at flights to Disney from NY, LA, Chicago, Houston, and Philadelphia (the 5 largest US cities), since that should give just about everyone a ballpark figure. The point totals below are for “Wanna Get Away,” Southwest’s cheapest option. The good news is that even if you cancel these flights, your points will be refunded. As you can see, there are some steals here! In some cases you could fly a family of three round trip for less than 50,000 points from a single credit card promotion. That’s pretty unbelievable! The trick is being flexible with your schedule and planning your trip well in advance so that you have time to accumulate the points and find a deal that works for you. JetBlue is absolutely worth mentioning here. While the points are harder to acquire in large numbers, there are some hidden deals. For example, like Southwest, JetBlue offers a very cheap way to fly from New York to Disney. When doing my research, I found a departing flight for 5,200 points! The process is straightforward. You’d want to get a card like the JetBlue Plus Card, earn the points (currently a 30,000 bonus), and then check fare options on the Jetblue website, selecting “TrueBlue Points” instead of “dollars.” You’ll arrive at a screen like this. Here were the deals for top cities, but by far NYC was the best. This isn’t a bad way to go, especially if you only need airfare for one or two people. 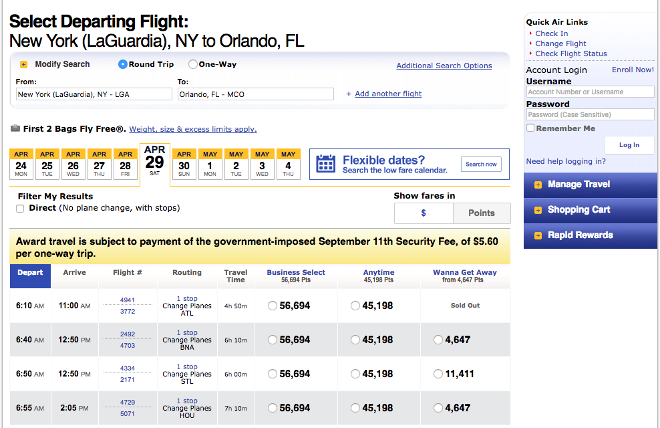 In the case of New York to Orlando, the fare would be covered for two people with room to spare just using one bonus. Also, potentially if you found a great deal on an outgoing flight, you could fly JetBlue one way and then use, say, Southwest on the return flight. If you’re an avid traveller, it might be wise to use the JetBlue Plus Card on a great deal when you find it, and keep the Southwest or Chase points for more long-term, general use. If you aren’t familiar with this particular travel trick, you’ll want to read this post where I discuss it in more detail. But for your Disney trip, the gist is this: You would use the Chase Sapphire Preferred or the British Airways Visa Signature Card to earn British Airways rewards, called Avios. In both cases, after the minimum spending requirement, you’d have at least 50,000 points, worth 50,000 Avios or more. Despite their affiliation with British Airways, Avios offer AMAZING redemptions on domestic American Airlines flights in the US. While availability is limited, I did find a flight from Chicago to Orlando for exactly 15,000 Avios round trip, using the same criteria as above. AMAZING, right? For a family of four, you could fly for almost free, using just 60,000 Avios, which could involve opening both the British Airways Card and the Chase Sapphire Preferred. You’d max out all the Avios from your British Airways card but still have 40,000 Chase Ultimate Rewards points that you could use on travel, or even as cash back if you wanted. Here are a few other tips to help you save when flying to Disney. It may not be a bad idea to drive a bit further to a different airport than you may normally use, if the different airport offers a significantly better redemption. As an example, if using your Southwest points would save you, say, $500 on airfare, then driving an hour or two to an airport serviced by Southwest is likely worth it. This is true for any flight booking, but try to keep your dates flexible. You’ll likely find that certain days of the weeks (or times of the year) provide much cheaper point redemptions. If you’re planning a Disney vacation, I know firsthand how difficult (and expensive!) it can be. 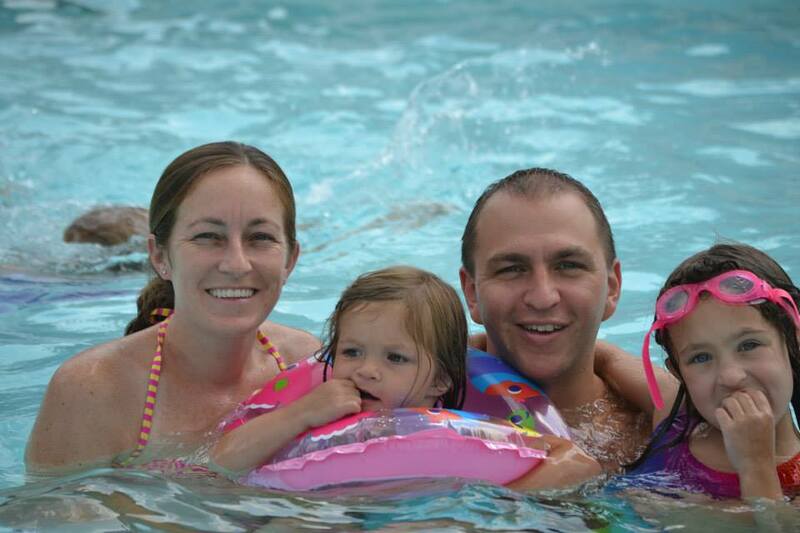 That’s why my wife, Laura, and I share everything we can about Disney travel on the cheap. 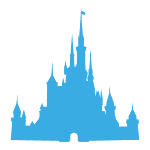 And, it’s what we created the Keys to the Magic Kingdom Challenge, an absolutely free program where we help you create a plan to travel to Disney for almost free using credit card rewards. 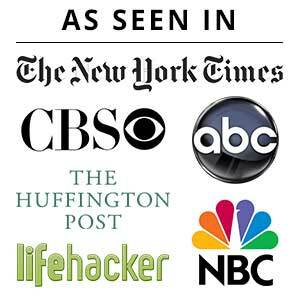 Sign up today–we’d love to have you on board!